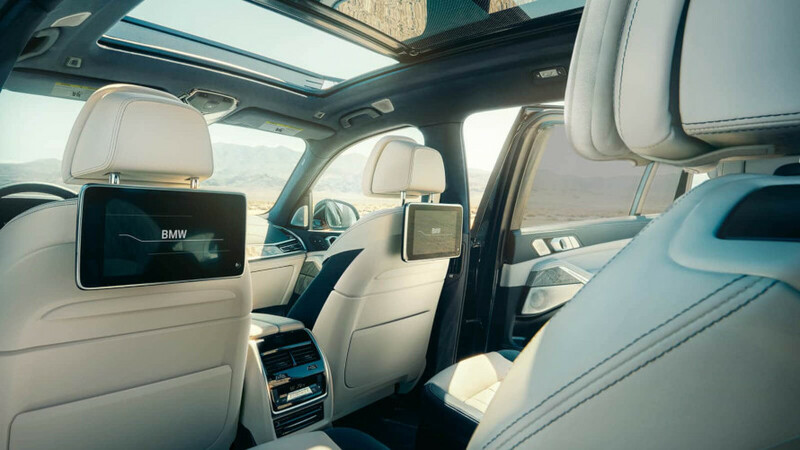 A statement of the luxury class: the new BMW X7 is the elegant fusion of presence and personality. Despite its majestic appearance, it gives an impression of lightness and agility thanks to the puristic design and athletic styling. At the same time, the considerable spaciousness of the interior offers a pioneering interplay of exclusivity, functionality and freedom – incomparable comfort all the way to the third row of seats. Charm is its essence. Elegance is its character. 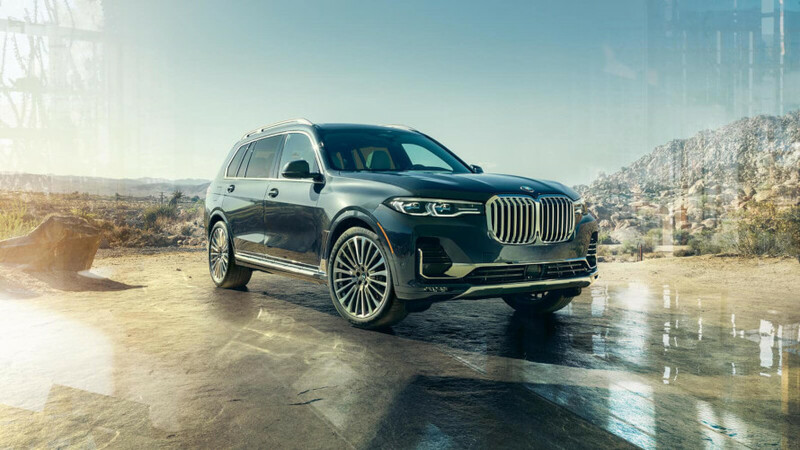 The new BMW X7 not only adds a new top model to the X family, but also defines a progressive approach to luxury for the BMW brand. Its mere appearance awakens the spirit of discovery. 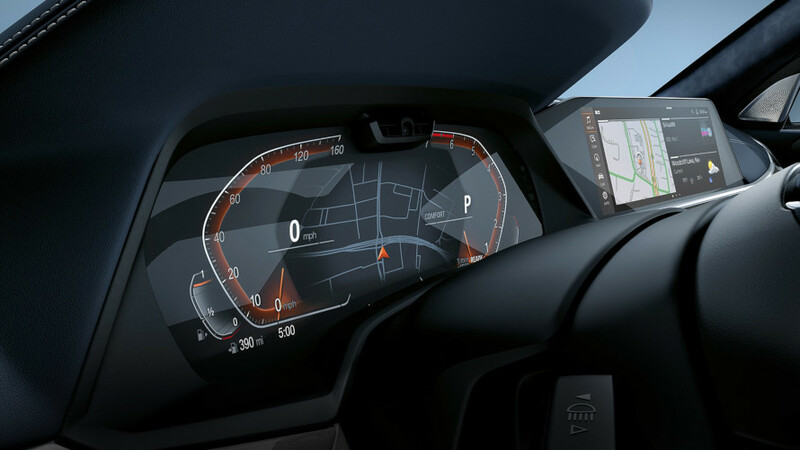 This is where the stylistic features of a SAV concept meets the dynamics and athleticism of an urban lifestyle. 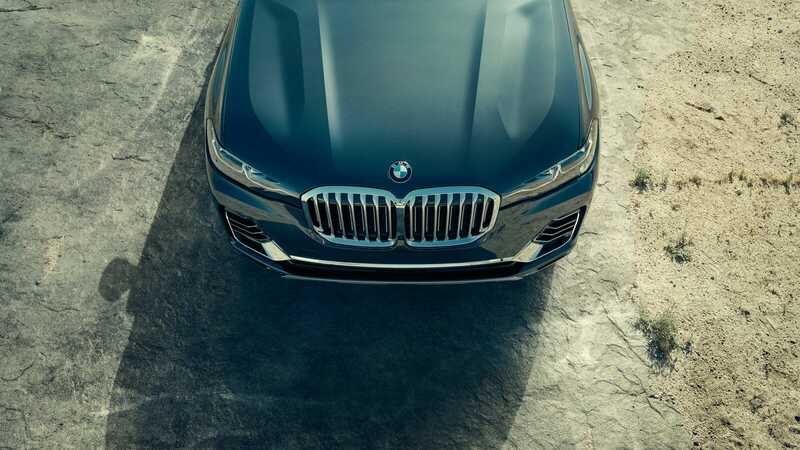 With its high roof line, the body creates an especially generous sensation of spaciousness in the interior. Optional xLine details in Satin Aluminum on the body reinforce the athletic look and the visual association with the X family. They also give the front and rear their distinctive appearance. These characteristic features, which are also available in numerous exclusive paint finishes, additionally afford protection against chip damage during off-road excursions. Aerodynamic excellence and the accompanying reduction in fuel consumption are guaranteed by details such as the side air blades on the tailgate, and the air curtain integrated into the air inlets at the front. Settle in to an atmosphere of elegance that exceeds every definition of excellence. 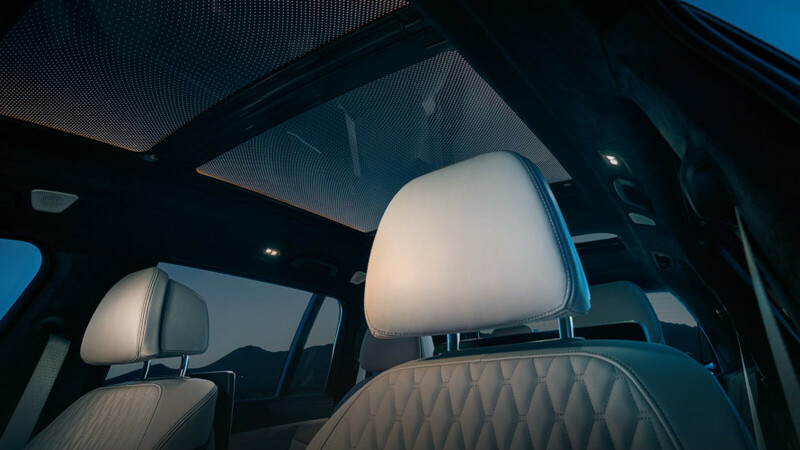 A beautiful Panoramic Glass Roof creates an open, spacious feeling –and a dramatic effect when illuminated by the colour-changing splendour of the optional Panoramic Sky Lounge LED Roof. 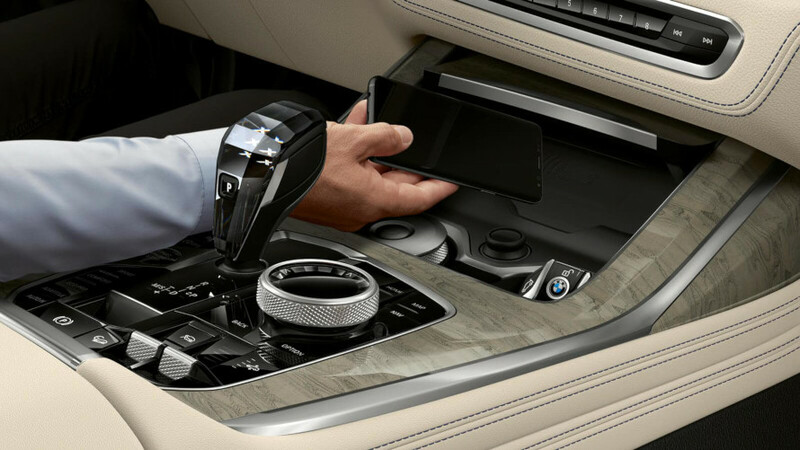 Optional Glass Controls on the gear shifter, engine start button, and audio switches accentuate the standard haptic feedback buttons surrounding the iDrive controller. 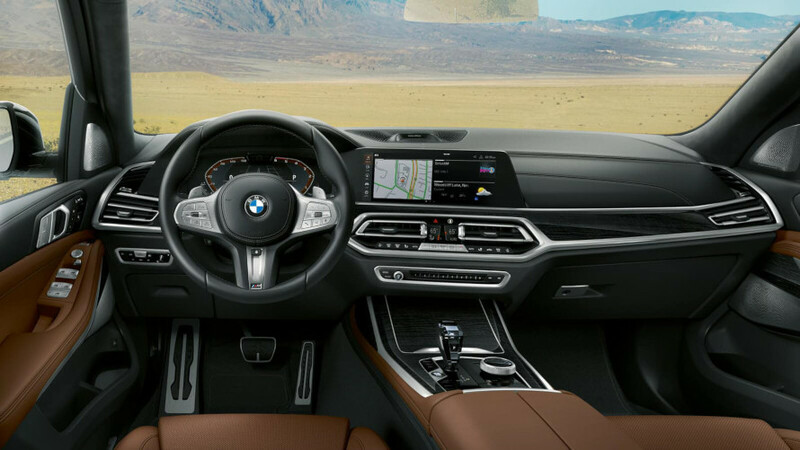 Enjoy a curated collection of life-improving technology – from standard safety features to the cutting-edge developments of the latest onboard driver assistance systems.